Indian Interior Design Blogs List. The Best Indian Interior Design Blogs from thousands of Indian Interior Design blogs on the web using search and social metrics. Subscribe to these websites because they are actively working to educate, inspire, and empower their readers with frequent updates and high-quality information. Indian Interior Design newsletter is a comprehensive summary of the day's most important blog posts and news articles from the best Indian Interior Design websites on the web, and delivered to your email inbox each morning. To subscribe, simply provide us with your email address. About Blog Get inspired for home decor, room design and renovations. Browse through articles on the latest interior trends, DIY tips, architectural designs and more. Facebook fans 11,883,090. Twitter followers 3,425. Hauz Khas, New Delhi About Blog Renomania is the largest collection of inspiring looks , designs and pictures for the entire house or part of it. Helping a home owner make an evolved decision before he embarks on a journey to improve or remodel his home is the genesis of Renomania. Renomania is the ultimate online destination and platform for home design with the widest range of inspiring pictures and maximum number of service providers and product owners in the country. Facebook fans 383,093. Twitter followers 528. About Blog A one-stop destination where your dream home comes true. Design your home and shop for furniture, home decor products. Facebook fans 982,749. Twitter followers 783. India About Blog Architectural Digest magazine features exclusive interior design & home decoration ideas. Explore our architectural magazine & design your perfect home. Facebook fans 206,839. Twitter followers 8,124. Mumbai, India About Blog Redefining Indian decor with lots of whites, Scandinavian and Coastal influences and using my 550 square feet rental to showcase that living fabulous doesn't have to cost much. A bit of idea and DIY ethic go a long way in turning your home from drab to fab. Facebook fans 2,020. Twitter followers 2,965. Facebook fans 4,547. Twitter followers 1,040. India About Blog An Indian Summer, a design blog, brings to you handpicked collection of all that is unique, aesthetic and inspiring, helping you transform a house into a home, across the world. Facebook fans 17,443. Twitter followers 584. About Blog An Indian Interior Design & Decor blog. Loads of Global & Indian Decor Inspirations. Featuring Indian Artists & Designers. Facebook fans 13,779. Twitter followers 294. About Blog Hi, I am Sharon, the founder of The Keybunch, and I have been blogging here since the last 10 years. Find out all about Indian decor inspiration here. Facebook fans 3,513. Twitter followers 206. Bengaluru, India About Blog Looking for inspiration to do up your home on a limited budget? Hungry for DIY? Explore and get inspired. At dress your home, you will find tastefully done up homes, balcony gardens, hundreds of Indian decor ideas and places to shop for your home. Facebook fans 2,532. Twitter followers 21. Facebook fans 4,969. Twitter followers 175. Facebook fans 2,018. Twitter followers 2,883. About Blog Sajavat was born in the August of 2008.This blog is an attempt to document and appreciate all the good things in life related to art, interiors and home decor. Gurgaon, India About Blog MADS Creations is a top interior designer in Gurgaon, Deal in Turnkey interiors, Custom Furniture. We are best interior Designer in Gurgaon & DELHI NCR. Facebook fans 53,231. Twitter followers 185. About Blog With more than a hundred projects, Urban Living Designs has scaled from just designing home interiors to being the most sought after home interior designer in Bangalore to designing office spaces and delivering turnkey projects. We render dreams and craft goals. Bangalore About Blog Preethi Prabhu is an Indian Home Decor blog that encourages you to try your hand at decorating. Follow for tons of Decor inspiration, DIY and Hacks. Facebook fans 211. Twitter followers 258. About Blog Our blog continues to be a space where we share all about the goings on at Rajee Sood, a boutique home store.We do at the same time remain committed to talking about styling and design as has been the tradition on this blog for the last 9 years. Facebook fans 2,685. Twitter followers 34. Bangalore About Blog We are a Budget Interior Designers and Interior Decorators located in Bangalore offering you the best interior design services for your Home and Apartments. Facebook fans 617. Twitter followers n/a. New Delhi, India About Blog UDC Interiors is one of the best interior designers firm in Delhi, provides interior designing services to all over India. Facebook fans 3,056. Twitter followers n/a. Bangalore About Blog Be it the home design tips, DIY décor ideas, latest news and trends in the interior design industry, the HomeLane blog covers it all for you. Facebook fans 365,439. Twitter followers 2,010. About Blog Whether it is to remodel your house or to refurbish your office interiors, it demands to explore the changing trends in design for conceptualizing the idea. You may have already envisioned your future house or the Office with all the minute decor detailing. But, it is the work of the luxury interior designers to transpire your thought into a well-designed space, which is embraced and appreciated by the viewers. 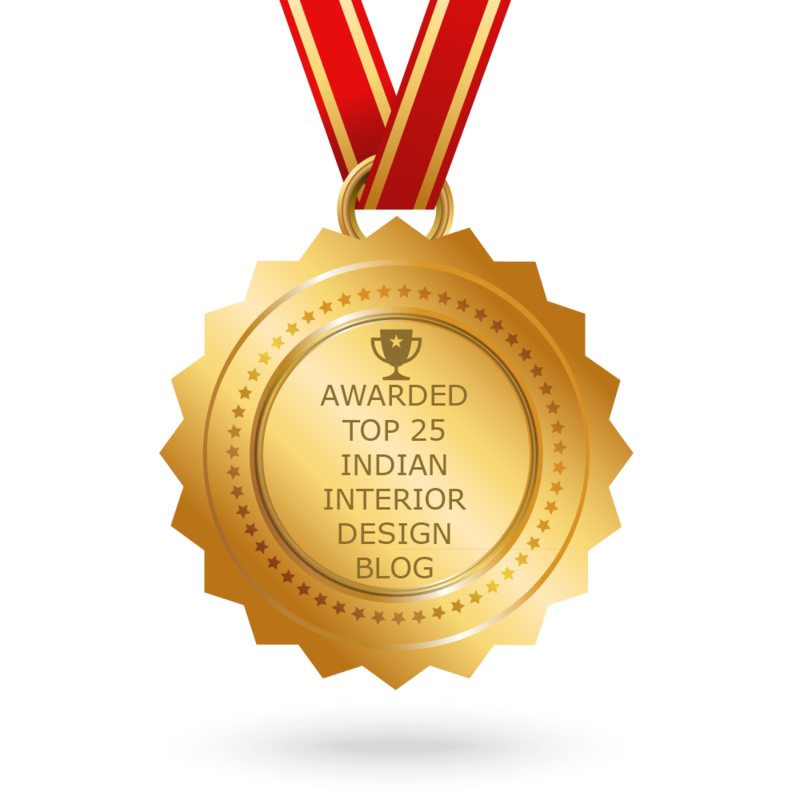 CONGRATULATIONS to every blogger that has made this Top Indian Interior Design Blogs list! This is the most comprehensive list of best Indian Interior Design blogs on the internet and I’m honoured to have you as part of this! I personally give you a high-five and want to thank you for your contribution to this world.